A recent Atlantic article (Study: Reading a novel changes your brain) caught my eye. My first thought: cool! My second thought: well, duh. I suspect that almost anyone who reads for pleasure would say that reading alters the way they think, and assuming that thinking (primarily) originates from the brain… it seems obvious that reading will change your brain. 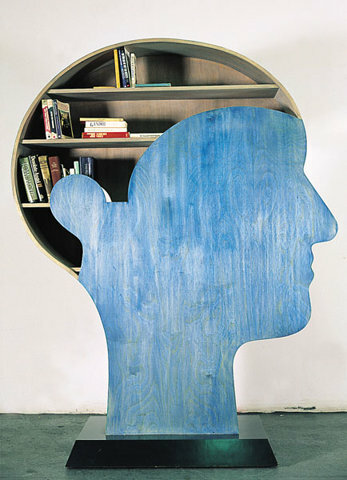 A number of studies have examined brains while people read. In one particularly interesting article, This is your brain on Jane Austen, researchers report that when participants are trying to read a novel closely, their fMRI scans reflect coordination of multiple complex cognitive functions. When they’re reading for pleasure, however, blood flow in different areas of the brain increases (usually interpreted as a sign of increased activity). The takeaway message was that cognition is not only shaped by what we read, but how we read it as well. It’s not very surprising that brain scans reflect increased intense mental activity (especially in areas associated with language and focus) when people are doing something like concentrating on a novel. Less intuitive, perhaps, are the results reported in the Atlantic article – that the brain’s structure and function changes over the course of reading a novel. Participants in the new study out of Emory University underwent fMRIs for 5 consecutive days so researchers had their baseline levels of activity. Then, they read 30 pages of the novel Pompeii every night, and returned each day, and for 5 days after they had finished reading for fMRIs. The researchers found that after finishing the novel, blood flow in the left temporal cortex, an area often associated with receptivity for language, was heightened. They also found increased connectivity in other parts of the brain that suggested “embodied semantics,” the idea that thinking about doing an action activates the areas of the brain involved in physically doing that action. I’ve heard many people (including myself) talk about feeling like they were actually in a good book or movie as they read or watched. These fMRI findings suggest that your brain sort of thinks you’re in the story too (I say sort of because the activation involved in doing is still distinct from the activation involved in thinking about doing… but overlapping and similar). Naturally, some questions: There were noticeable brain differences after just reading one novel. But if the participants stop reading after this one, how long will the effects last? If they were to continue to read consistently, would the effects summate? 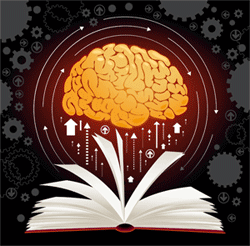 The finding that reading a novel can change the brain is overall not too surprising. However, it’s still very cool to see quantitative results that confirm a reader’s intuition that as they read, their brain changes accordingly. In terms of education, I wonder if there is a major cognitive difference between reading a fiction book for pleasure, or reading one for a class assignment. I personally remember struggling to get through books assigned in class (like pride and prejudice) but reading many books for pleasure.